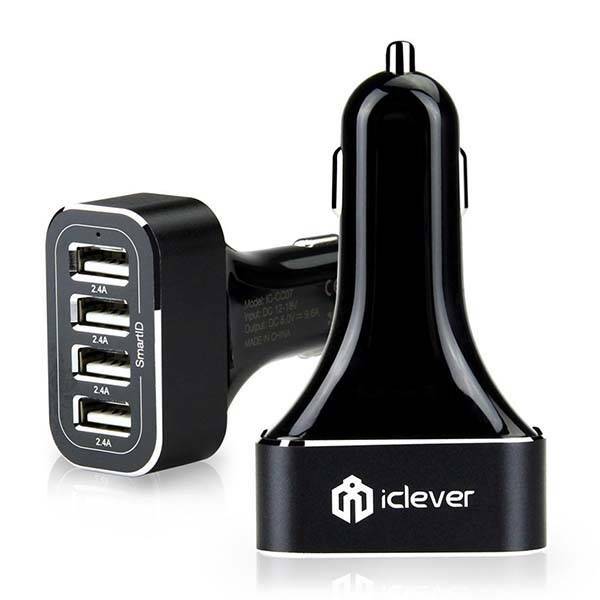 I like budget friendly and functional stuff such as the iClever 4-port car charger that only costs $14. Using the four ports, it helps you and your passengers to charge mobile devices. This is a pretty useful USB car charger that measures 1.88 x 1.07 x 3.29 inches. Its components have been placed in an aluminum alloy shell that deliver you a sleek and low-key design and durable profile. The portable charger comes equipped with four USB charging ports with 48W/9.6A of total output in order to quickly charge smartphones, tablets, and other USB gadgets at the same time, and SmartID technology is capable of automatically identifying each connecting device, and ensuring maximum charging efficiency, in addition, its circuit protection feature prevents your device from over current, short circuit and over heat. 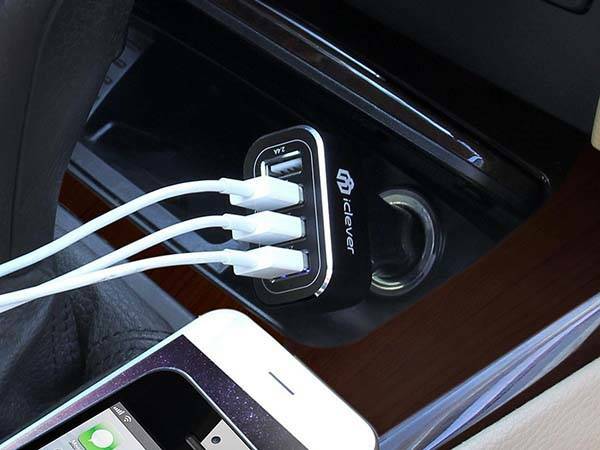 The 4-port car charger is available for $13.99 USD on Amazon. Additionally, if you want more options, you may like to check the aluminum dual USB car charger and more functional things by following tags.